The Gilder Lehrman Center (GLC) for the Study of Slavery, Resistance, and Abolition at the Whitney and Betty MacMillan Center for International and Area Studies at Yale will host a book conversation between David W. Blight, GLC Director and Class of 1954 Professor of American History, and author Ta-Nehisi Coates. The program celebrates the release of Blight’s new biography, “Frederick Douglass: Prophet of Freedom” (Simon and Schuster, 2018). The talk is scheduled for Thursday, December 6, at the Yale University Art Gallery, Robert L. McNeil, Jr. Lecture Hall, 1111 Chapel Street, New Haven, Connecticut. Book sales begin at 4:30pm and the talk begins at 5:00pm. Blight and Coates will discuss the book within the context of Frederick Douglass’s development as a thinker, activist, and political figure. Courtesy of Atticus Bookstore and Café, books by both authors will be available for sale. Professor Blight will be available to sign books after the talk. The writing of the book was prompted by Blight’s lifetime interest in Douglass along with access to the private archives of Walter O. Evans. The materials in the Evans collection, Blight writes, allowed him to explore the “fascinating and complicated life” of the older Douglass, from the period of Reconstruction through his death in 1895. 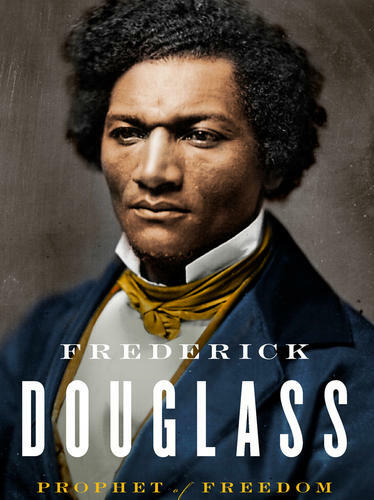 As the first in-depth biography of Douglass published since 1991, “Frederick Douglass: Prophet of Freedom” is “the fullest account ever written of the last third of Douglass’s complex and epic life,” Blight says. This program also celebrates the 20th anniversary of the founding of the Gilder Lehrman Center. The mission of the Gilder Lehrman Center is to explore the history and legacies of slavery across all borders and all times. The Center promotes scholarship and public education focused on the history and afterlives of chattel slavery in the Americas, global slavery, resistance to enslavement, abolitionist social movements, and modern slavery and human trafficking. For more information visit the book talk web page: https://glc.yale.edu/event/book-talk-david-w-blight-ta-nehisi-coates-discuss-frederick-douglass-prophet-freedom.